Home » Have Your Say » Would you agree with our endorsement of Hillary Clinton for US president? Would you agree with our endorsement of Hillary Clinton for US president? 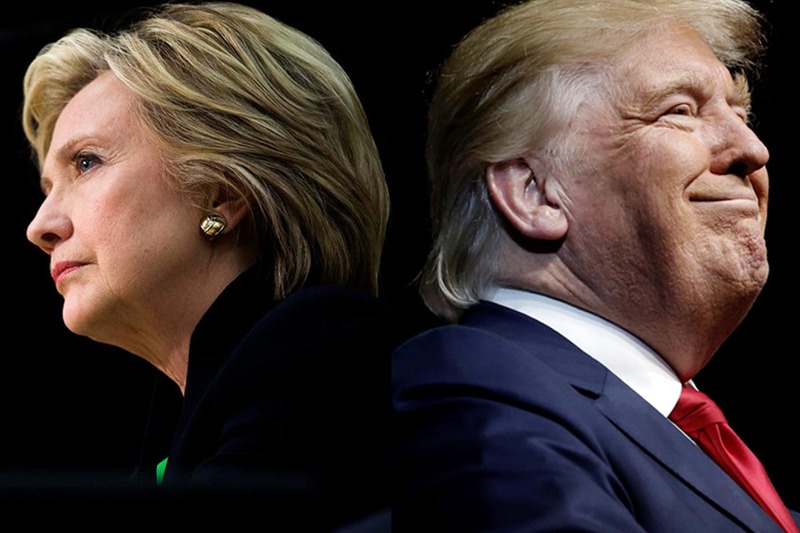 The US presidential race is coming to an end in a whirlwind of last-minute campaigning, with polls predicting a clearer path to victory of Democratic nominee Hillary Clinton over Republican Donald Trump. The polling will take place on Tuesday 8 November 2016. The election is impacting even those of us halfway around the world in different societies. People around the world are anxious about what will happen in the rest of the world after the world’s most powerful person takes office — such as what would be their foreign policies, what will happen with the war the US has started in the Middle East, life-changing environmental issues, Internet surveillance, and status of immigrants. Apart from the two main contenders for the White House there are various third-party and independent presidential candidates who are also running. Former physician Jill Stein is the Green Party candidate, while former Governor of New Mexico Gary Johnson is the Libertarian Party nominee. People around the world are supporting Hillary Clinton over Donald Trump, and the pre-poll predictions indicate that Hillary Clinton is leading over rival Donald Trump more due to his overwhelming irresponsible and ignorant ideas than to any true greatness in her. The “good ol’ boys” of the country may support Trump’s violent solutions to foreign and domestic problems, deplorable attitude towards women, immigrants, and people of colour, propensity for untruthful and thoughtless statements, but thinking and forward-looking people, and those who believe in “Stronger Together”, are outnumbering the rightist hardliners. No matter who wins in the election, neither is going to make a difference with regard to the Tibetan issue. The Tibetan issue has to be owned by the Tibetans themselves after all. But for the rest of the world, Hillary Clinton seems to be the right one for US president this time. YES; I agree! H.Clinton is much better for America and the rest of the world! My best wishes for Tibet! It is utterly baffling to me how supposed Buddhists continually support left-wing Socialist elitists. Socialism/”progressivism” is the Antithesis of Buddhism. It’s very essence is theft and violence, “taking what us not given” and “distributing” is the very essence of corruption, not to mention the hideous violence and suffering of Communist Socialism. When Clinton wins the World will go forward as til today. I’m sure she will win. “The rest of the world” doesn’t matter — especially to Trump and his supporters — as it doesn’t get to vote! Let’s hope you’re right about progressives outnumbering reactionaries; we’ll find out on Wednesday. We do know Trump would cozy up to Xi Jinping along with the rest of the world’s dictators, but how different would Clinton be? Will she start a new Middle East war with Syria which could spread to Iran or even Russia? No-one knows. The future of the planet rests in US voters’ hands.